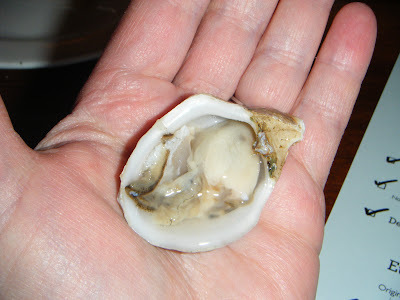 Here it is: the cutest oyster I’ve seen in I-don’t-know-when. Delicious, too. Any guesses as to what, exactly, I’m holding in my hand? Come on, you slurping sophisticates, impress me. Operators are standing by!